Product prices and availability are accurate as of 2019-04-24 01:15:04 EDT and are subject to change. Any price and availability information displayed on http://www.amazon.com/ at the time of purchase will apply to the purchase of this product. 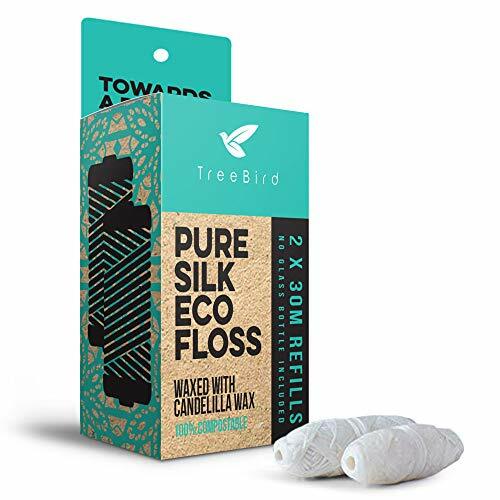 THE ECO-FRIENDLY CHOICE - Our floss is perfect for all of you who are trying to take or are already taking a more eco-friendly approach on the world. Good on you! With this offer, you get 2 spools of 100% silk floss, each 33 yards long, total length 66 yds. These refills are suitable for the TreeBird refillable glass containers for floss. The packaging can go straight to your compost pile as it's made of Kraft paper and printed with soybean ink. No container included with these refills! ZERO WASTE FLOSS - Our eco floss refills are completely compostable! After using the floss you can just throw it in your compost pile where it will naturally biodegrade so you don't have to worry about creating unnecessary waste and pollution like plastic that takes hundreds of years to decompose. 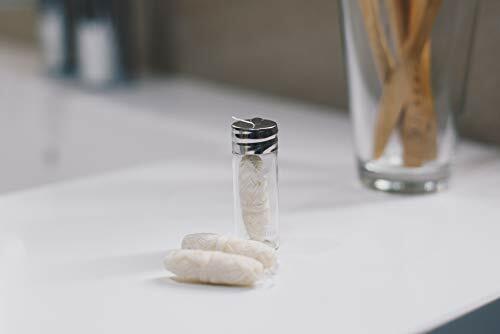 If you don't already have a container then just find our TreeBird floss + glass holder right here on Amazon. GUILT-FREE PACKAGING - We are constantly working towards making our packaging as green as possible. At the moment we pack all our products in a small compostable Kraft paper box (+sanitary waxed paper for the spools). Even the ink we use is made of soy-bean that breaks down quicker than petroleum or oil-based inks. The stickers on packaging are there to avoid any dust getting in there and are made of compostable plant-based material. All for a greener and cleaner planet! CANDELILLA WAXED & MINT FLAVORED - Our super strong dental floss is waxed with vegan candelilla wax and has pleasant mint flavor. TreeBird floss will glide between your teeth with ease and won't break even in the tightest space. It's all natural and good for people with sensitive gums. 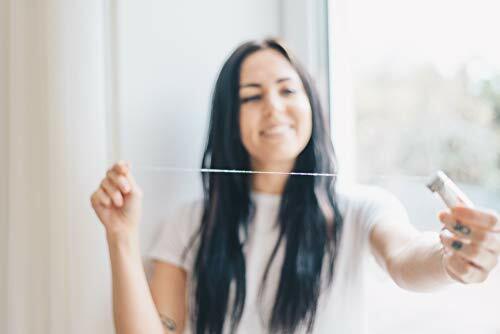 We recommend that you floss once a day because plaque that will build up between your teeth takes about 24 hours to form. For best results be sure to use the TreeBird bamboo toothbrush with soft bristles. LIFE WITHOUT PLASTIC - If it's so easy to make this small change towards using less plastic in our everyday lives then why not just do it? Give us a try and hit the "add to cart" button. Make sure to also get our awesome 100% eco silk floss with glass holder before checkout. 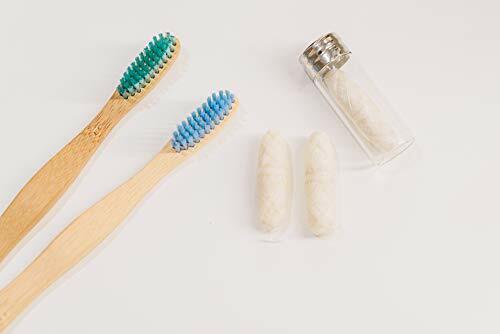 In case you're also looking for a new toothbrush then make sure you purchase our TreeBird value pack bamboo toothbrush set for a true eco-friendly oral hygiene experience! Together towards a plastic-free future!